Orly's Glitter Bomb is exactly what the name suggests! 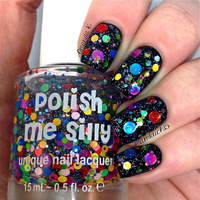 It is a fully packed glitter polish with all sized glitters and colours. Wear it on it's own or as a top coat.